I'm starting a new series this month to practice portraits with watercolour pencils. 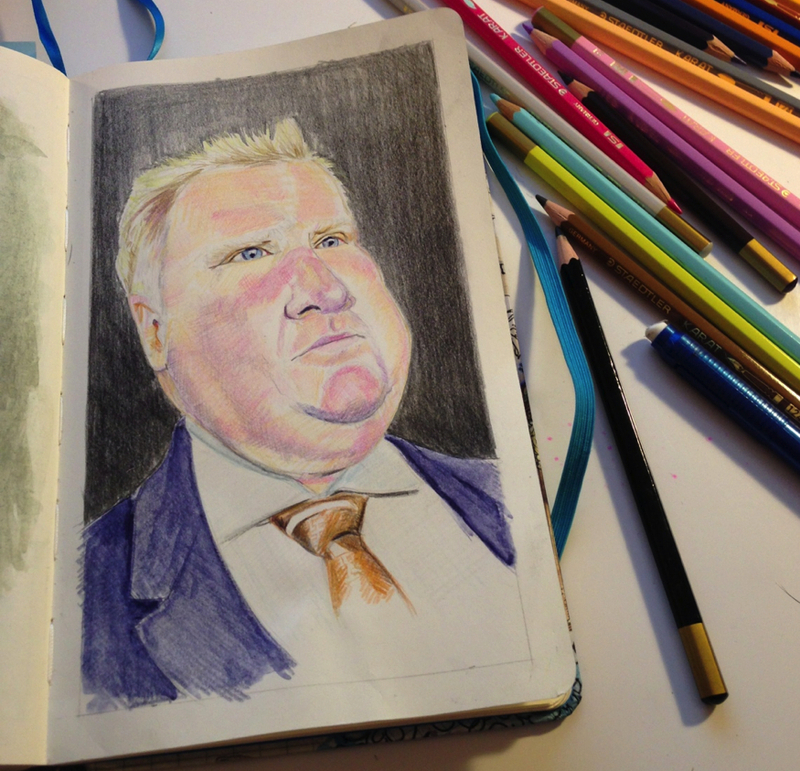 I thought it would be fun to sketch various well known Torontonians. First up : Mayor Rob Ford. The media loves to talk about him a lot. I can't imagine how stressful it must be to be mayor of such a big city. Mind you the city seems to be doing well despite all the complains I hear about what he might have done in the past. So far, all I've seen from the ones competing to take his job are bad jokes and repetitive insults but not much about what they are actually going to do for the city and day to day lives of citizens. It will be interesting to see how the elections pan out in the fall.